The Okapi – a national symbol of the Democratic Republic of the Congo, also known as the “forest giraffe” is now on the brink of extinction, according to the latest update of The IUCN Red List of Threatened Species. 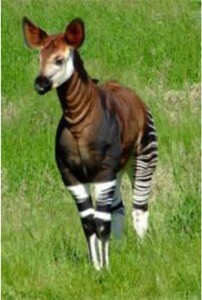 IUCN reports serious declines in the population of the Okapi (Okapia johnstoni), a close relative of the giraffe, unique to the rainforests of the Democratic Republic of the Congo (DRC). The species is now Endangered, only one step away from the highest risk of extinction, with numbers dwindling across its range. Poaching and habitat loss, as well as the presence of rebels, elephant poachers and illegal miners, are the principal threats to its survival.